Until last year, I had a hard time remembering student names, especially in classes over 30 students. Recently, I invented a software tool that I think you will find useful. I learned 140 names in two weeks. We are looking for a few beta testers. To see a real class of students from last summer, go here: http://myface.photos/susi2018. Play around a bit. We totally believe it's worth it. Students love it when you get to know their names, and a professor can do this in small, medium, and even LARGE groups or classrooms. And get this: students load all of their own content (like Tom Sawyer's friends painting Aunt Polly's fence!). 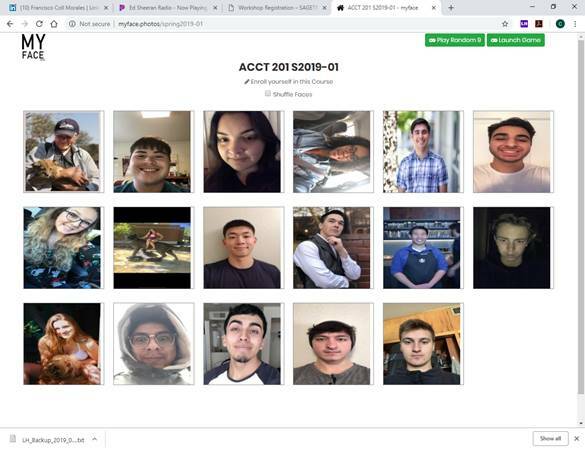 Students load their own pictures and profiles from anywhere in the world, in the first five minutes on the first day of class. You can immediately begin learning who they are. Play the RANDOM 9 game to match name with face. If you'd like to play with this software, you can try it for free here http://myface.photos. You get five free classes this spring. We think it's really easy to use, but we want to know how it can be more helpful. If you try it, please let me know how you like it. PS I have 30 students in my Section 01 class, which starts tomorrow. 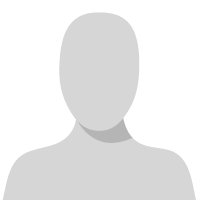 17 have already registered here: http://myface.photos/spring2019-01.